The global consultancy Accenture has opened an innovation outpost office at Volta in Halifax, made possible through a $400,000 grant from the Atlantic Canada Opportunities Agency. Halifax MP Andy Fillmore announced the funding at a reception at Volta on Wednesday. He said the money will fund a one-year pilot program that will include programing delivered by Accenture. Innovation outposts are becoming common features in startup hubs around the world, and are places where traditional businesses can have an innovation office away from corporate headquarters. The idea is that these remote employees can come up with innovations for the parent company and interact with the brainboxes who work at the nearby startups. The goal is to benefit both the startups and traditional businesses. 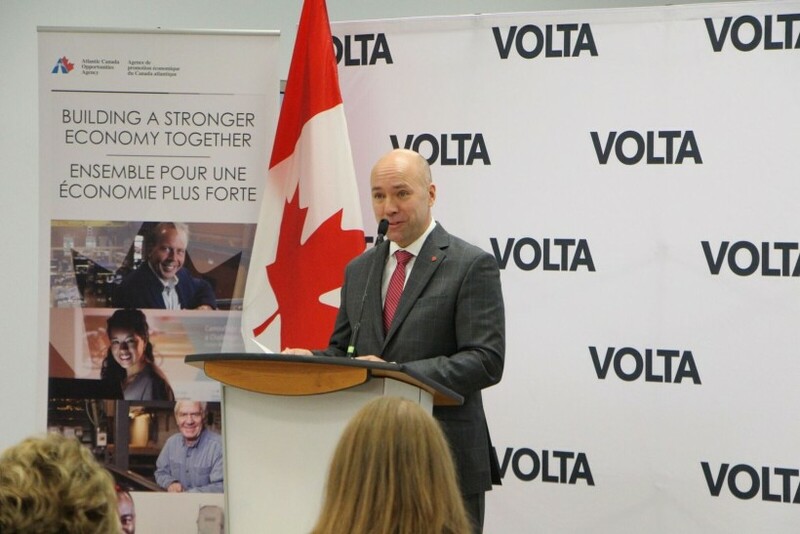 Volta opened its Innovation Outpost two years ago and has attracted the Atlantic Lottery Corporation, the Government of Nova Scotia and now Accenture as participants. The addition of Accenture will bring a new dimension to the outpost because the consultancy will offer programs to improve the skills of entrepreneurs in the startup house. This is something that Accenture is doing on a national and global basis by participating in programs at such innovation hubs as Silicon Dock in Dublin. What’s more, the Volta office will be connected with a network of Accenture innovation outposts across Canada. Accenture’s Innovation Outpost will be headed by Christine Hamblin, a veteran of the startup community and graduate of St. Mary’s University’s Master of Technology, Entrepreneurship and Innovation program. Disclosure: Volta and ACOA are clients of Entrevestor.